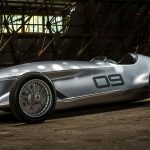 You know how automakers often say their involvement in motorsports like Formula 1 helps in advancing the tech on road-going cars? 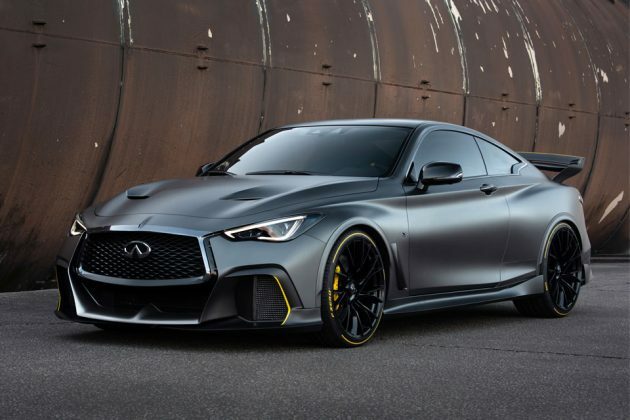 Well, the 2018 Infiniti Project Black S Prototype you see here is one example of that. 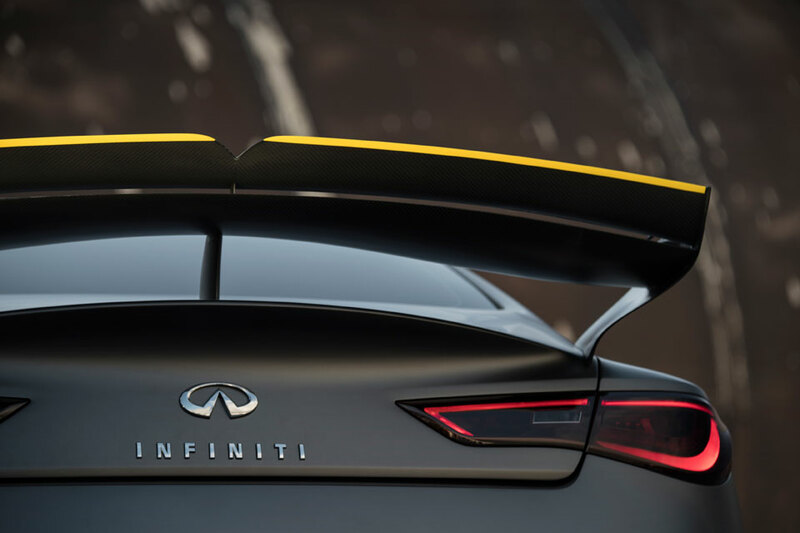 The Infiniti Project Black S Prototype is a follow up to Nissan luxury marque’s 2017 Infiniti Project Black S design study and it is a platform that showcases how the dual-hybrid electric powertrain technology found on Formula 1 race car can be applied to a road car – drawing on the expertise from across the Renault-Nissan-Mitsubishi alliance. It is part of the effort to realize the company’s plan to electrify its portfolio from 2021 onward. 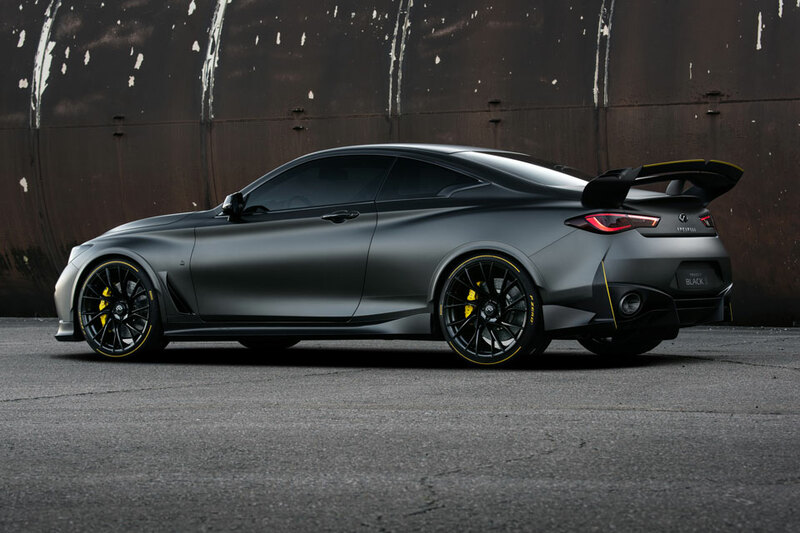 Anywho, aesthetically-speaking, there’s nothing radical about the 2018 Infiniti Project Black S Prototype’s look. 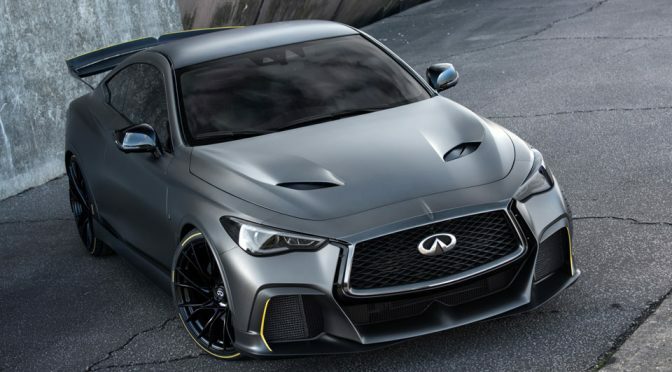 It is actually based on the Q60 RED SPORT 400 sports coupe, featuring the award-winning VR30 3L V6 twin-turbo engine, but now paired with an energy recovery system (ERS) that result in greater power and torque. 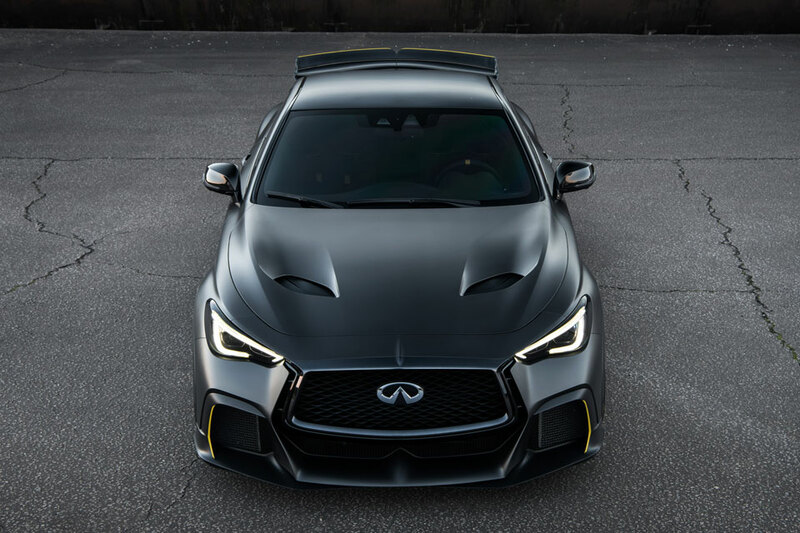 The dual-hybrid powertrain puts out 420 kW, or about 563 horsepower – over 160 horses over the regular VR30 has to offer. 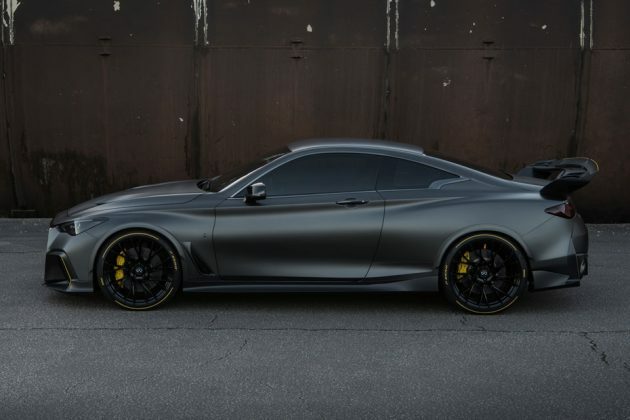 Though it is not known how much torque boost we are looking at. Then again, why do we care when claims a century sprint in under four seconds, right? Anyways, it is worthy to note that though it is based on the Q60, this prototype now embodies greater aerodynamic efficiency and high levels of downforce “with a functional motorsport-inspired performance aesthetic,” including the Renault Sport Formula One Team’s Monza wing-based carbon fiber rear wing which was validated by the team’s aerodynamicists (yup, aerodynamicists is a thing). 2018 Infiniti Project Black S Prototype was unveiled in Paris on October 01, 2018. All images courtesy of Infinity USA.